In just a few short weeks, the holiday season will officially be over, and so will your holiday marketing campaigns. Many of us will be breathing a sigh of relief and donning our “I Survived the 2016 Holiday Season” t-shirts. But before you do, there’s one more item to check off your to-do list: your post holiday email campaign. Why plan a post-holiday campaign? A post-holiday email marketing campaign is a great way to extend the life of your holiday campaign – and let’s face it, drive some additional revenue. It’ll also help you set the tone for the rest of your 2017 campaigns and help time them accordingly. Most importantly, a post-holiday campaign will let you tap into your holiday shoppers’ long-term needs, turning them into loyal customers. For many brands, January marks the arduous task of clearing out the previous year’s inventory and preparing for a new year of product promotions. Email is the perfect opportunity to promote those limited-time sales. If you’re looking to promote different types of sales – a new offer for each product type, for example – you can use a time-targeted email to deliver a new sale every day. 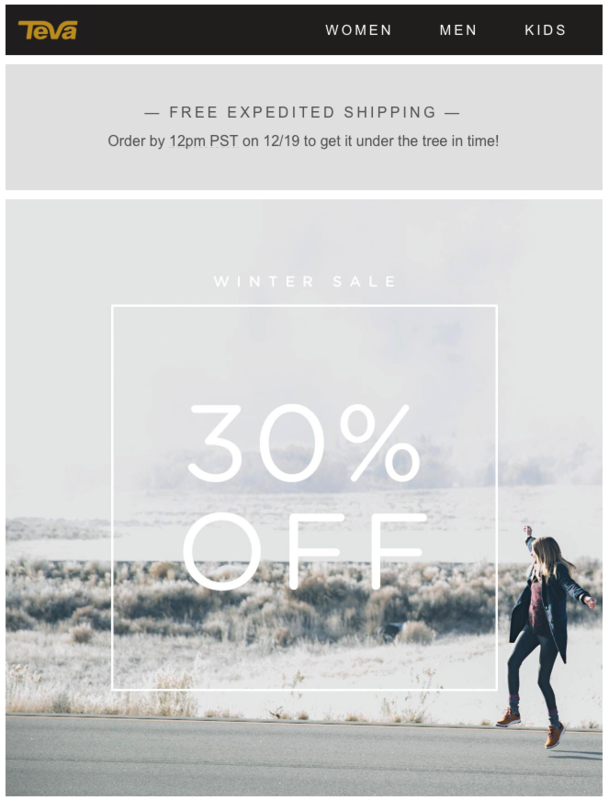 But if you’re just looking to promote all of your winter clearance items, you can simply promote one strong sale on all of your winter inventory, like Teva does. Looking for retail-specific email ideas? Check out The Retail Marketer’s Email Playbook. 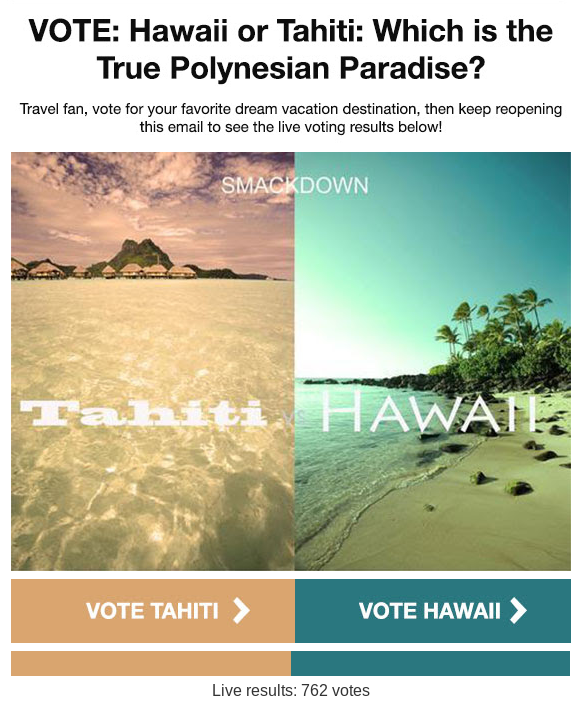 Nope, it isn’t too early to start thinking about your spring break email marketing strategy. January is when many brands give previews of their spring offerings, so why not promote them via email? You can use this as an opportunity tease your upcoming products or offer early bird sales. Thanks to the holidays, you probably had more than a few first-time shoppers – or at least first-time window shoppers. Now it’s time to take your relationship with them to the next level. If you offered a coupon on their first purchase, remind them that they haven’t used it yet. 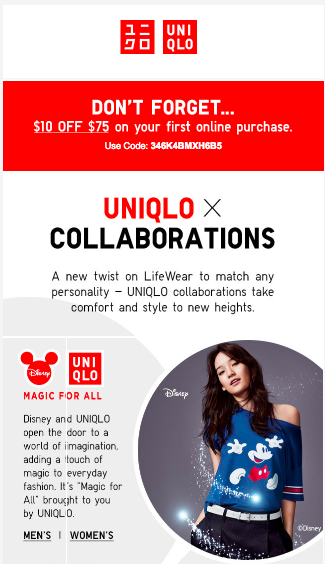 Uniqlo does this by adding a banner to the top of their emails. If they already made a purchase, offer an exclusive discount or free shipping on their next one. If you have a rewards program, now’s the time to show it off. Let them know the benefits of joining and show them how easy it is participate. During the holiday season, your customers’ buying behavior changes: they shop for others instead of themselves. Now is the time for your customers to treat themselves, and free shipping is the perfect nudge to make it happen. 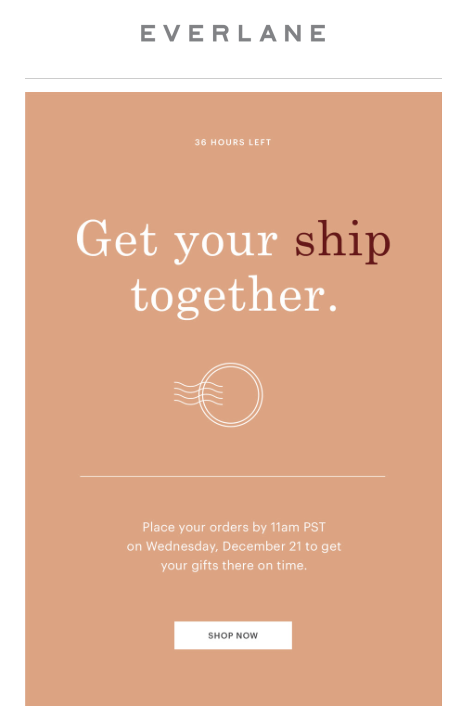 Here’s a clever free shipping email from Everlane. Why not send a campaign asking them if they got what they really wanted for the holidays, then offer free shipping on their item of choice? Or even better, ask them in the form of a live poll. Then, offer them free shipping or similar discount on their item of choice. While it isn’t your typical shopping holiday, you can still leverage New Year’s to promote your post-holiday sales. 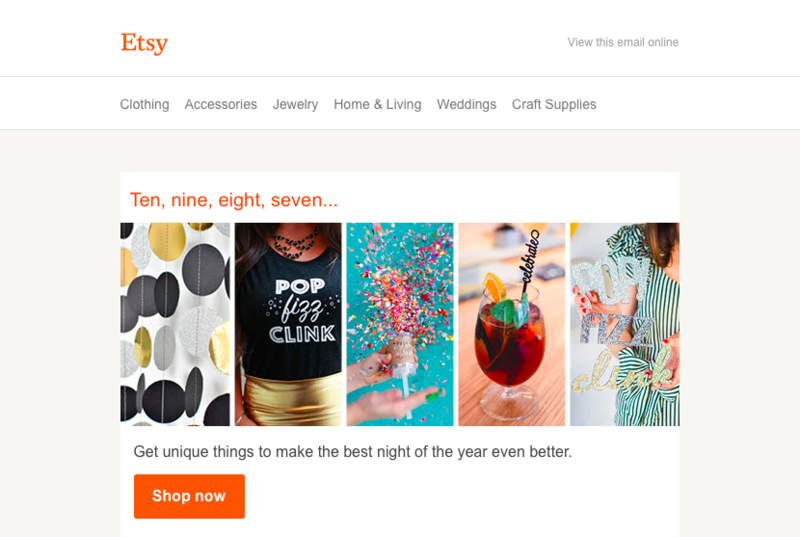 Here’s how Etsy does it. Fashion retailers can promote a campaign around clothing upgrades. Travel marketers can deliver a campaign based around traveling more in the new year. Financial services marketers can offer to help customers start saving for a big purchase. Those in the entertainment business can promote tickets for the upcoming year, and marketers in publishing can create a newsletter based around 2017 predictions. A post-holiday email campaign is the perfect to way to extend any positive results you’re seeing from your existing holiday campaign. Use these campaign ideas to inspire a customer-centric post holiday campaign to kick off the new year. Want more email campaign ideas? Download our ebook, Everything You Need to Know About Contextual Marketing. This entry was posted in Contextual Marketing and tagged holiday emails, live polling on December 21, 2016 by Kristen Dunleavy.